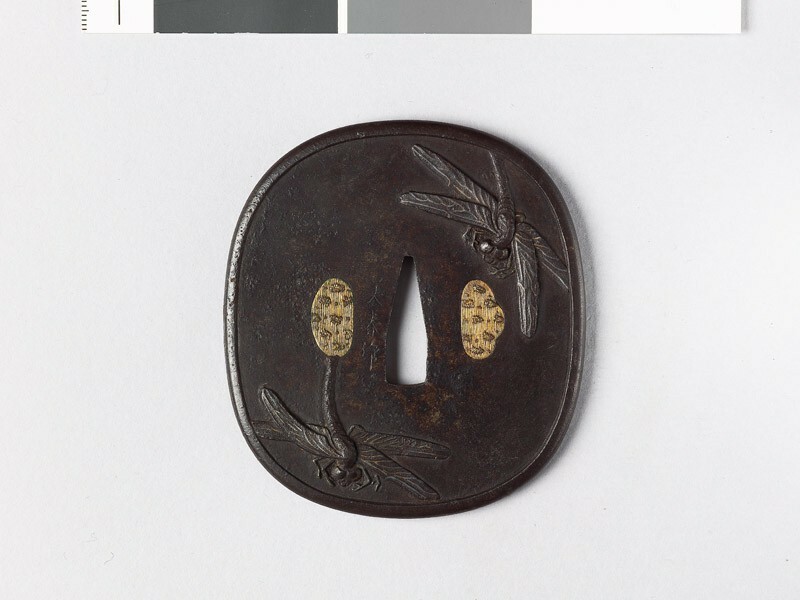 The founder, Ishiguro [Japanese text] Masatsune I (1760-1828), had a very large following up to the middle of the 19th century, whose work was much in demand with the samurai. 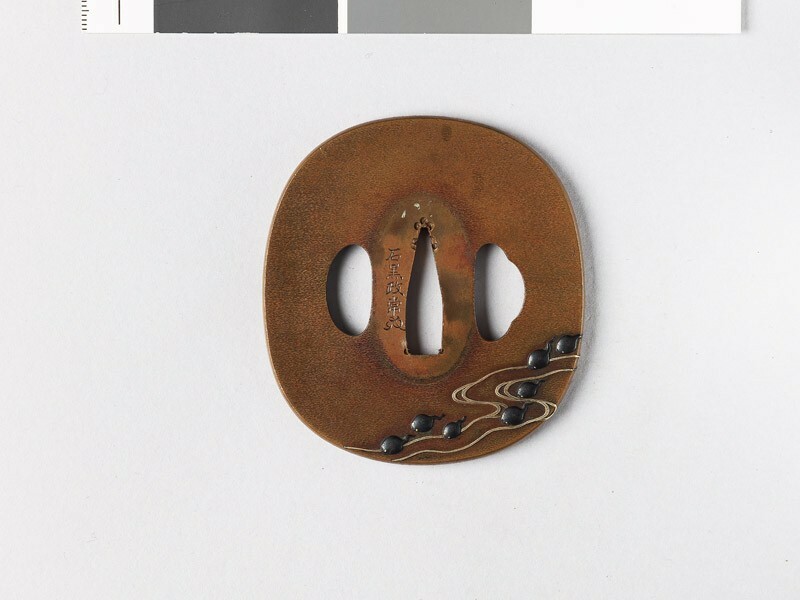 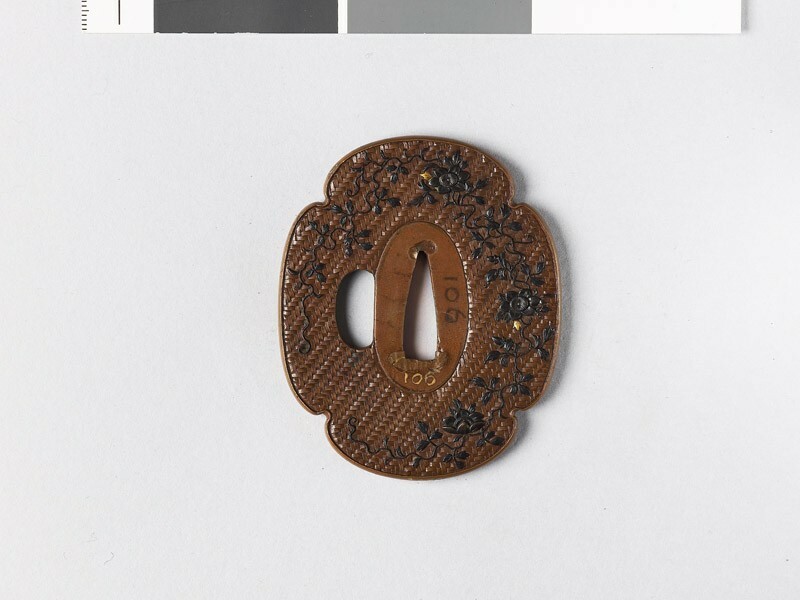 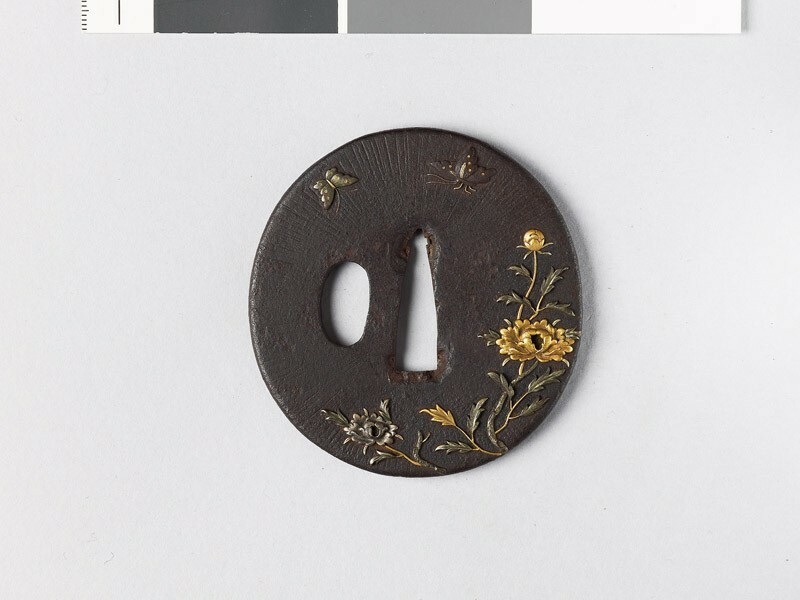 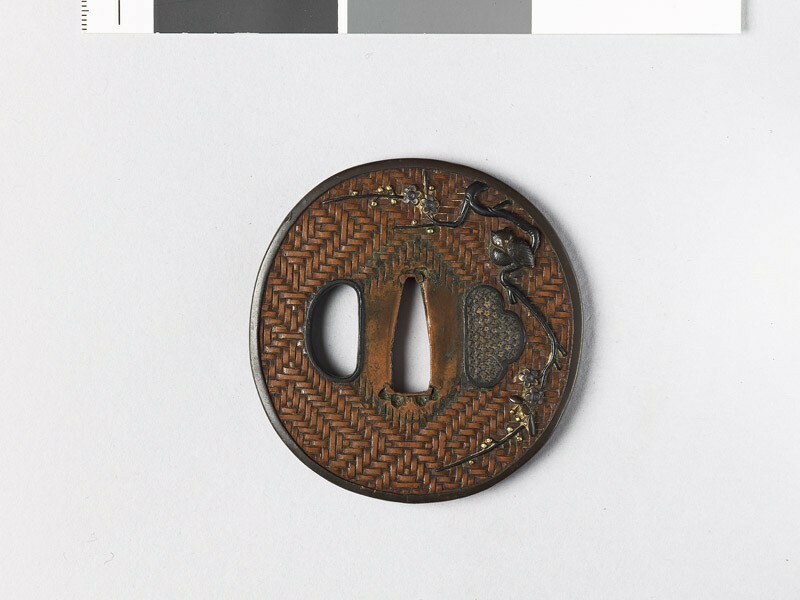 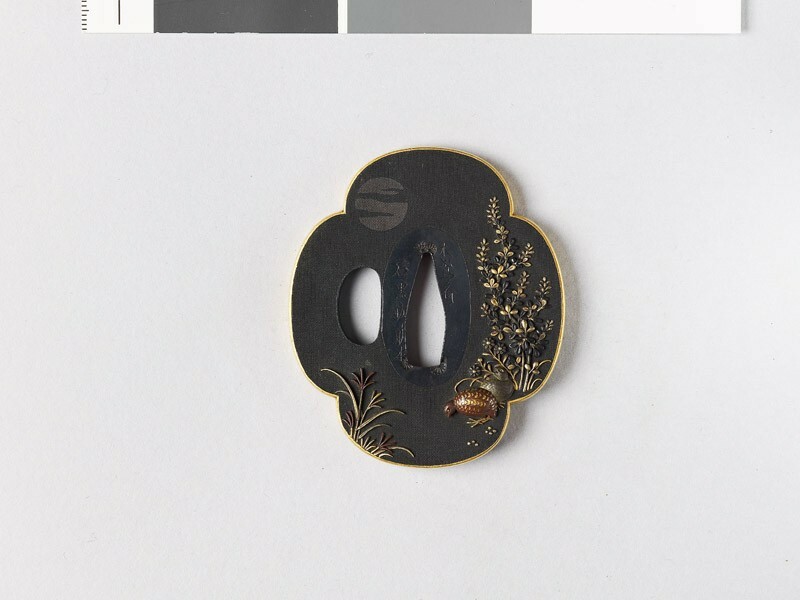 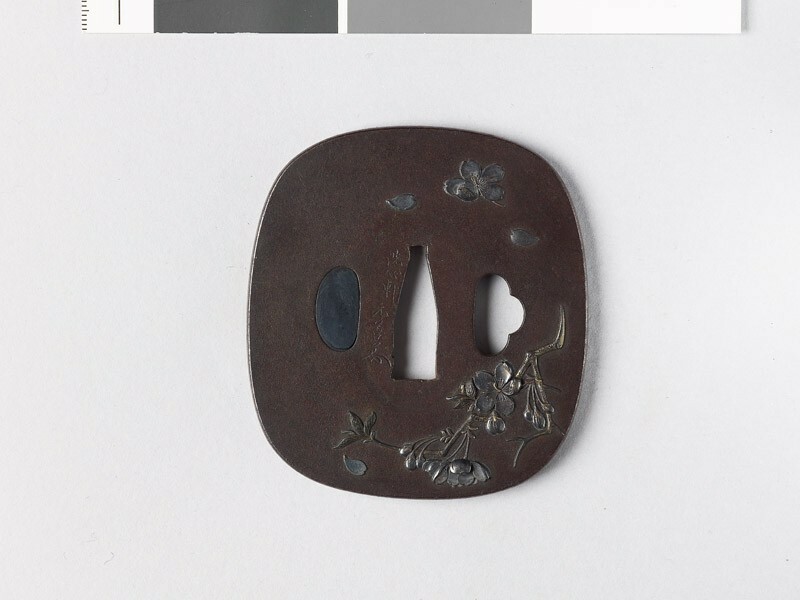 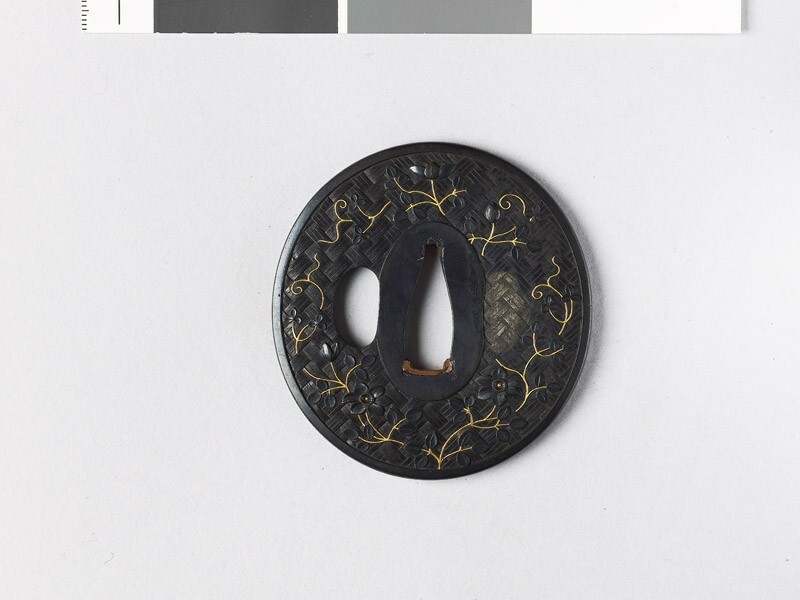 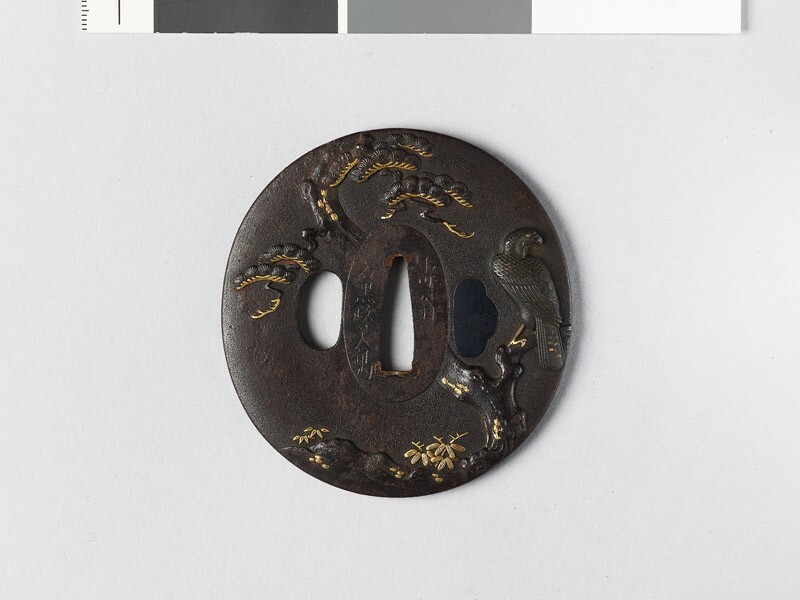 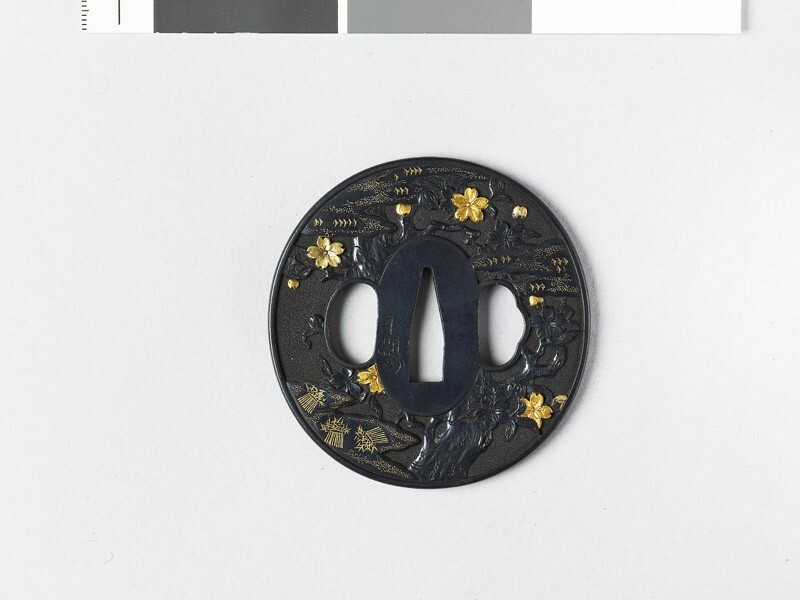 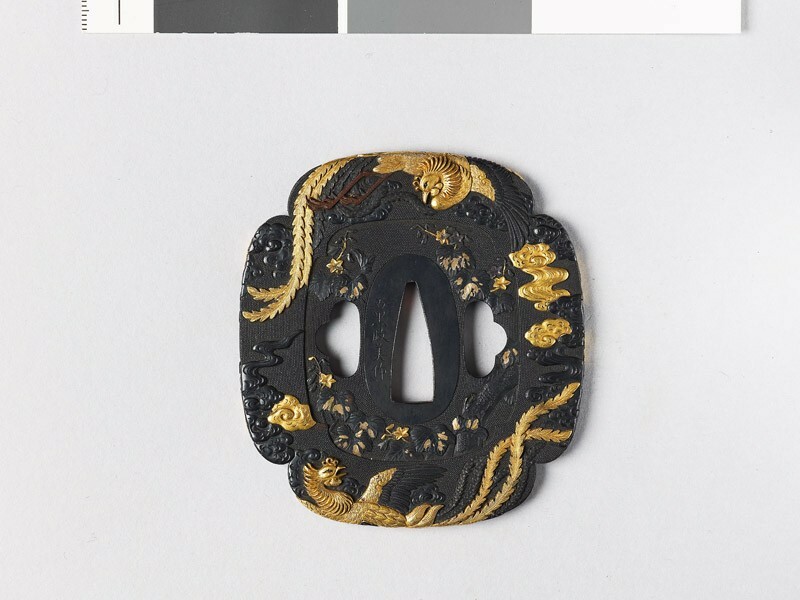 An offshoot of the Yanagawa through Katō Naotsune, the school nevertheless develops an individual style, showing a preference for minute incrustations on the soft metals, coupled with delicate modelling. 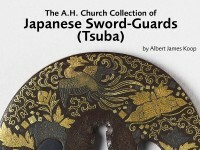 Birds, dishes and insects, trees, flowers and blossoming hedges, form the favourite subjects.